China mobile wholesale Umibuy.com publishes a brand new H3000 Android 2.2 3.5’’Quad Band Dual SIM Touch Screen Smart Phone with Analog TV WIFI JAVA GPS. 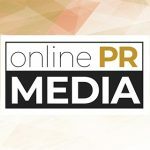 Online PR News – 22-February-2011 – – In the beginning of Chinese New Year, umibuy.com takes the lead to share the consumers the latest China phones with best price. The newborn phone equipped with the latest Android 2.2 operating system, Media Tek MTK6516 416MHZ CPU and with 256MB/256MB RAM/ROM. With such a powerful configuration, users carry it in hand just like operate just a palm computer. The H3000 phone has a large 3.5 inch full HVGA Resistive Touch Screen. It can meet the demands of users who prefer full touch screen. The operation is easy and convenient; moreover it is safe and comfortable to the eyes. Unlike other traditional smart phones, the China smart phone comes with dual sim dual standby function. It can make up the lack of sim slot. Usually, it is convenient to have two sim cards, especially for business men. The China smartphone also has high definition dual cameras. The main camera supports 2.0MP, sub-camera supports 0.3MP. The effect of the image will be not inferior to the digital camera. Therefore, no matter where people meet the beautiful sceneries and wonderful memories, it is easy to record with high quality. Like other excellent phone, the cheap China phone supports analog TV, WiFi and Java function. It supports Analog TV (SECAM/NTSC/PAL). After simple setting, users can watch as many as the local TV programs for free. Besides, users can surf the internet without extra charge as long as there is a hot spot. Simultaneously, users can download and install a great many interesting and useful Java applications and games. Equipped with A2DP Bluetooth, the file transferring speed is also very high. The unlocked China phone supports fashion and practical GPS function. It built in GPS chip, supports voice navigation. It is very good for people like travel or takes evection. There is no need to worry about the lost. No matter where people want to go, the phone will be the best partner to guide the right direction. Its voice navigation will also bring drivers a secure driving. In addition, the cheap smart phone has interesting G-sensor function. It supports Auto horizontal function. Besides, it comes with a great many other functions like eBuddy, Facebook, Gmail, Google Maps, MSN, Twitter and YouTube, Calendar, Calculator, To Do Lists, Alarm clock, World clock, Currency converter, Unit currency, Stopwatch, Handwriting, E-book, Word, Excel, PPT, PDF format document, etc. Except the H3000 smartphone, umibuy.com online store also provide a wide selection of China smartphones. Umibuy.com sincerely welcomes customers to wholesale smartphones with high quality and cheap price.